You or someone in your household is graduating this year! 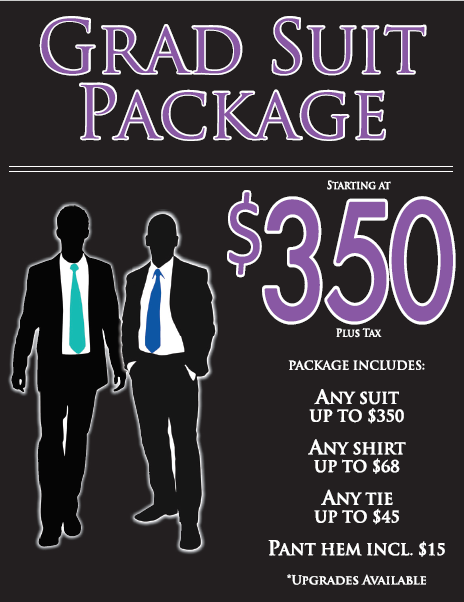 We make it easy to get suited up for the big day with our Grad Suit Package 2019. Jim’s Clothes Closet is proud to offer this deal for our grads again this year. You’ve got the freedom to choose from many combinations to reflect your personal style/match your date. Suit, shirt, tie, AND alterations?! PERFECT! We know you may still be growing so we do ask our tailors/seamstress’ to leave extra fabric at the hem to let down as a later date so you may enjoy your garments a little longer. Come in or call for an appointment and we’ll get you started. You’ll be ready for grad, job interviews, weddings, etc. in no time! 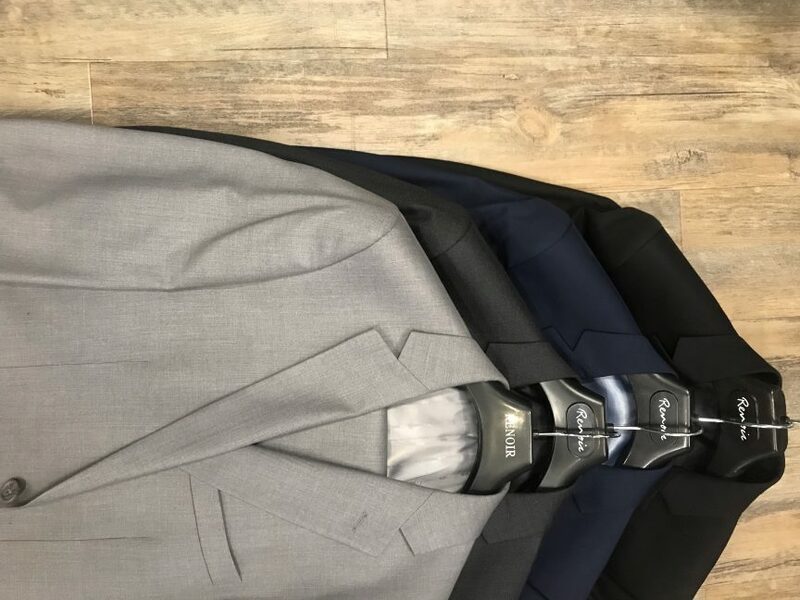 If you would like to rent your suit or tuxedo combination for the big day, come see us for a catalog and price list and we’ll go over your options and the rental process with you. Rentals are provided by Black & Lee. Here’s to all the Grads of 2019!